After the very successful market launch of the SQ Auto Connection quick couplers SQ60 and SQ70 in 2017 and the SQ80 in 2018, Steelwrist now takes the next step in this very dynamic product sector. At Bauma 2019 in Munich, Steelwrist will launch its new SQ65 and SQ70/55 Auto Connection Quick Couplers. The demand for fully automatic quick couplers continues to grow in all major markets and in some more mature countries in Central Europe it is already mounted on the majority of new machines in the size class of 14 tons to 50 tons. “Customers have highly appreciated Steelwrist’s move into the fully automatic quick coupler market with a very competitive product offer which is compatible to the market standard. Since the launch of our SQ60, SQ70 and SQ80 our customers in Central Europe have been desperately waiting for the SQ65 and SQ70/55 from Steelwrist. Now we are very happy to launch those new quick couplers at Bauma 2019”, says Stefan Stockhaus. 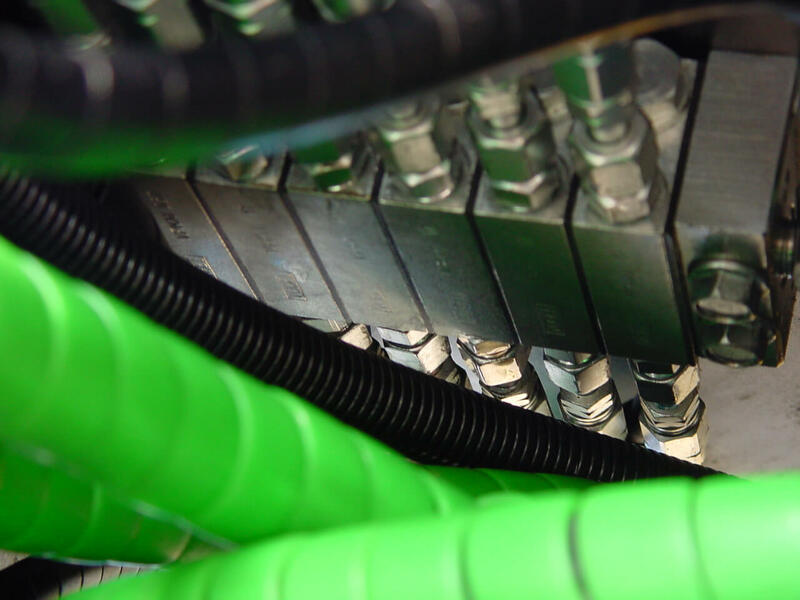 The Steelwrist SQ Auto Connection couplers follow the internationally growing symmetrical standard, a wedge locked system according to the ISO13031:2016. In addition to comply with ISO13031:2016, Steelwrist’s SQ couplers and SQ tiltrotators also include the patented Front Pin Lock technology which ensures increased safety by preventing the operator to not drop work tools by mistake. “We can clearly see that extensive testing and continuous improvement has paid off. Thanks to the robust design, our newly developed couplings and our patented Front Pin Lock the Steelwrist SQ Auto Connection quick couplers have been appreciated by the customers from day one on”, says Steelwrist CTO, Markus Nilsson. The new SQ65 and SQ70/55 will be available for ordering right after Bauma and the deliveries to the customers will start from July 2019 and onwards. The different combinations of tiltrotators from Steelwrist with the new SQ couplers will be available end of 2019. “The market launch of the SQ60, SQ70 and SQ80 has been a tremendous success. Now with the new SQ65 and SQ70/55 we expect even more customers, especially in Central Europe, to choose Steelwrist as their supplier for fully automatic quick couplers to make their work more efficient”, says Stefan Stockhaus. 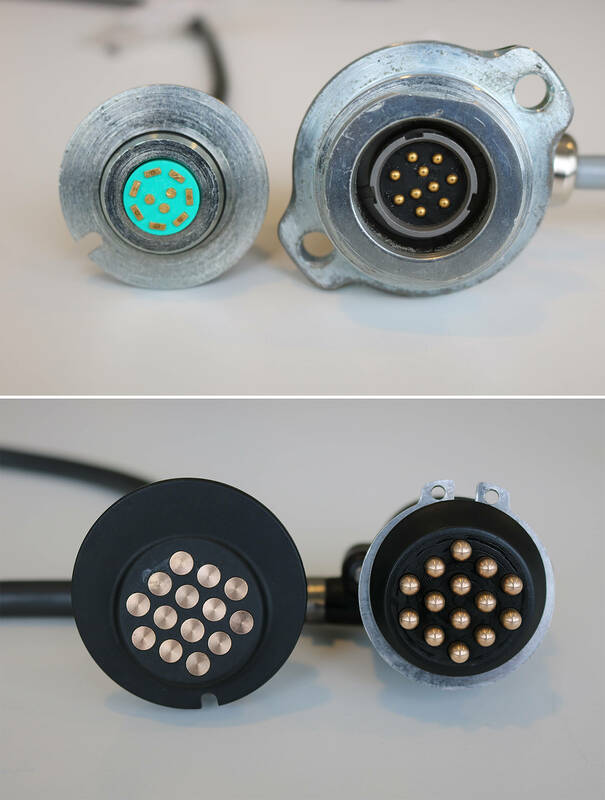 As part of the continuous development of the company’s SQ Auto Connection System a new electrical connector for connecting SQ couplers and work tools has been developed. V14 is a robust fourteen pole connector that can be retrofitted in existing SQ and OQ type couplers and work tools. It is well known by initiated users that existing electrical connectors for excavator tools have problematic designs, often with restrictions in connection poles, small contact surfaces and water/dirt sensitivity. This is especially the case with the old V90 connector, originally a 1960s design intended for American military audio equipment. As an answer to this problem Steelwrist has developed a new robust connector, V14, specially made for SQ couplers and work tool applications. The new V14 electrical connector has larger contact surfaces that make the connection secure. With a construction where the surfaces slide against each other during the coupling procedure, good contact is ensured and a self-cleaning effect also occurs. This makes daily service and cleaning easier compared to existing connectors. V14 has fourteen poles instead of ten, which makes it possible to connect the tiltrotator function, as well as Machine Control System or separate valve packages, in the same connector. 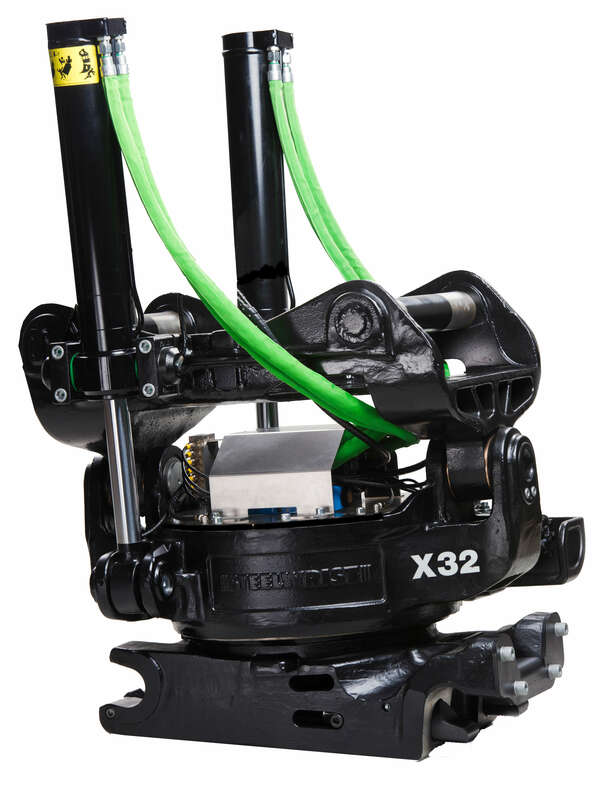 It is also compatible with the position of the V90 connector in such a way that existing couplers and work tools from Steelwrist as well as Oilquick can be upgraded. In order to increase the safety when changing work tools Steelwrist will present the next generation of its patented Front Pin Lock technology. Safety on quick couplers is one of the dominating topics in the construction machinery industry in many countries. National authorities and Health and Safety organisations want to raise safety standards and financially promote safe quick couplers in order to decrease to risk of fatal injuries on construction job sites. Front Pin Lock from Steelwrist is a mechanical lock of the front shaft which significantly limits the risk of an unintended drop of work tools. 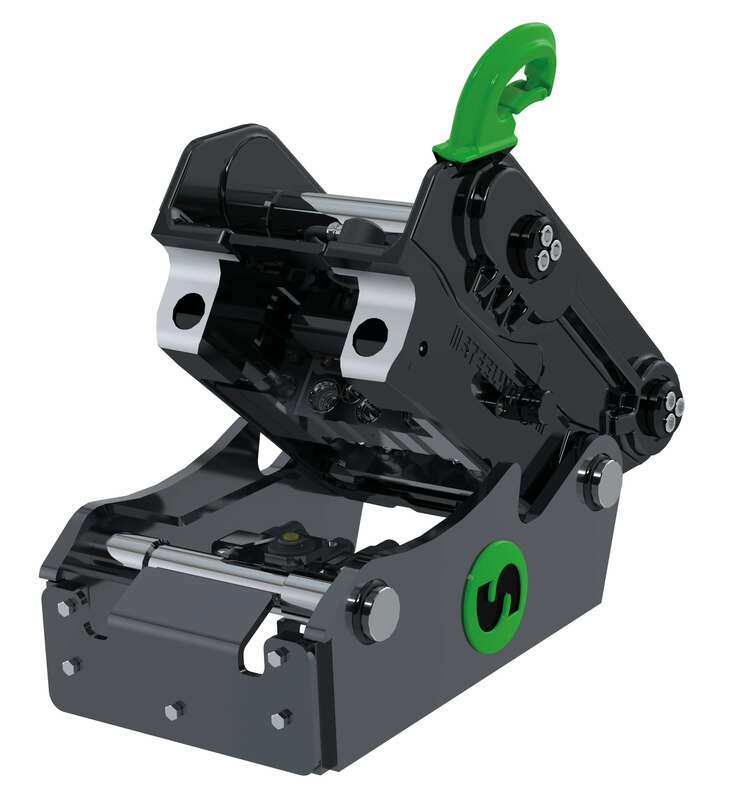 Steelwrist has introduced the first generation of the unique Front Pin Lock technology in 2012 on all quick couplers from S40 to S70 and also on the fully automatic quick couplers SQ60 and SQ70. The simple functionality and the high level of safety without using any type of electric sensoring is highly appreciated by a strongly growing number of customer and has received the approval from several national insurance funds. “Simplicity, reliability and quality of our Front Pin Lock system are unique in the market environment. With the launch of the new generation Steelwrist takes the next step and raises the safety level on hydraulic quick couplers even more”, says Stefan Stockhaus. Steelwrist now launches the new generation of the patented Front Pin Lock technology at Bauma 2019. The first units of the SQ65, SQ70/55 and SQ80 will be equipped with the new technology. Steelwrist has introduced the work tool management system ToolRec together with Quantum, the new control system for tiltrotators, which provides enhanced functionality. To use the full potential of ToolRec and to provide maximum customer benefit, all work tools from Steelwrist with S60 adapter and upwards will be equipped with ToolRec modules as standard. The demand for increased efficiency is constantly rising and as a result the excavators, the work tools and the machine control systems are becoming more intelligent. Tool Recognition from Steelwrist, small, robust and cost efficient tool modules, add a new level of intelligence to work tools. 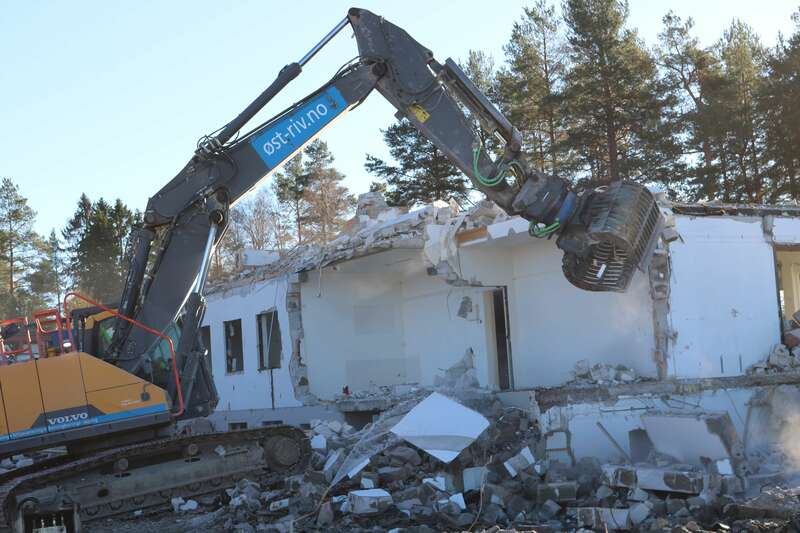 “ToolRec is the perfect linkage between work tool, excavator and the operator. The machine knows which tools is mounted on the arm end and can automatically change the work tool in the Machine Control System. There is less risk for the operator to choose the wrong tool and on top of that he can always locate the position of the work tool through the Quantum App on his smartphone. That is real customer benefit,” says Stefan Stockhaus, CEO of Steelwrist. TheToolRec module consists of wireless battery powered tool units that communicate with a communication module in the cabin. Battery lifetime is expected to last five years. The Quantum control system can communicate with external machine control systems like Leica Geosystems or Trimble. With ToolRec the operator does not need to manually enter the correct work tool into the system, something that today is one of the major reasons why the Machine Control System do not have correct settings. As a result rework due to wrong parameters can be eliminated. “With ToolRec we managed to develop a system which is very easy to use, provides a high level of robustness and doesn’t require daily service. Functions like service and maintenance alerts actively help to save money and make the life of operators and service technician easier,” says Markus Nilsson, Steelwrist CTO. Tool Recognition from Steelwrist will be sold stand-alone and will work on all excavators independent of control system. With immediate effect ToolRec will be mounted as standard on all hydraulic and mechanical work tools from Steelwrist with S60, S70 and S80 adapter. 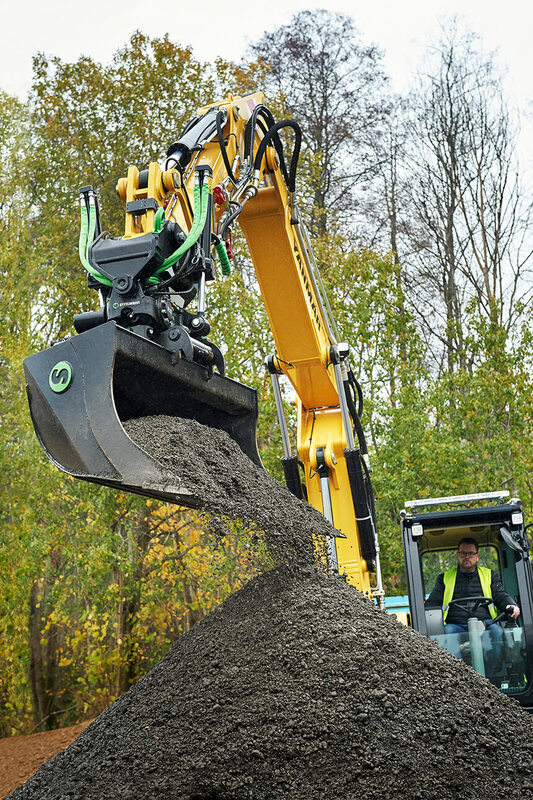 As part of the Quantum control system ToolRec will support automatic speed settings in the tiltrotator control system depending on which tool is connected. Welcome to Steelwrist’s stand number FN 1115/3 at bauma to see the products firsthand and talk to our product specialists.